With each passing decade, or less, the apparatus used to consume information has changed at an impressive pace. Paper gave way to the radio. The radio gave way to the television. The television gave way to the computer. The computer gave way to an evolution of itself in many forms being the desktop, laptop and tablet. All of these are already giving way to mobile devices. These will soon give way to devices on your wrist, your head and perhaps even become shapeless. All of these devices obviously rely on software to function and deliver information. Unfortunately, software is only as good as the hardware that is used to present the information and service needed by the consumer. With each leap in technological advancement devices are getting smaller, multi-tasking and even smarter. Take the Amazon Echo, it can sit on any surface and control every connected device, appliance in your home and even order pizza and a movie online. All with just your voice. 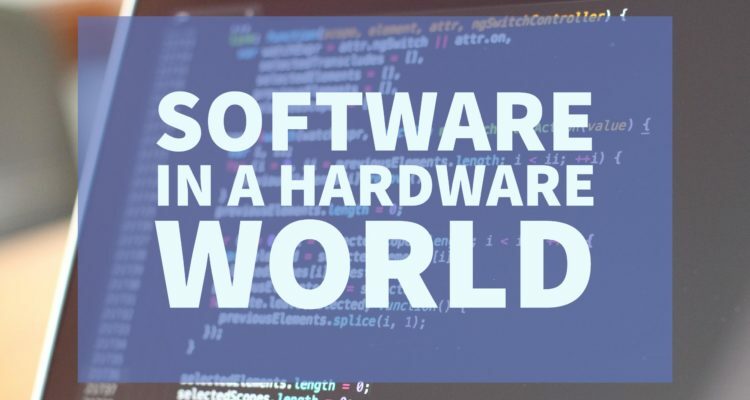 It’s with advancements such as these that software becomes dependent on good hardware to make it appealing to the consumer, and get to the point where it becomes a necessity. Of course, one can argue about the provisions for privacy and data security that should be an inherent part of these advancements. But that’s a topic for another day. Other tech companies have also brought out their own innovative products to meet this demand. Google with Google Home, for a time they even had experimental head gear – called Glass. I would not be surprised if Apple and Microsoft too reveal devices in the near future to compete head on with the above two. They’ve already made significant penetration in the market with their touch based devices, which support voice and have been doing it in parallel since launch with Siri and Cortana. There’s a strong possibility it might by being embedded into everyday items and providing a seamless experience. But there will always have to be at least one, or more, hardware pieces that help a user manage all the seemingly endless possibilities we are lead to believe these advancements hold for us. Just how shapeless is anyone’s guess. Let’s just hope it doesn’t come in the form of AI powered liquid metal.